We are often approached by clubs/groups asking how they can get out onto the water in the Kyles of Bute. Our club option gives you the opportunity to bring your own boat and sail or kayak in an outstanding location with additional local knowledge and expertise. The Kyles of Bute is renown for its scenery, safe water and idyllic beaches and harbours, the perfect combination for dinghy sailing. To club/groups we can offer the use of our storage, launching, expertise and knowledge of the area, along with our camping facilities at Carry Farm. We would help you organise your stay to make the most of your time. And of course if you need any instruction, we are always there to help. There is a variety of accommodation choices at Carry Farm to suit all budgets. Our purpose built bunkhouse provides simple, quality accommodation for up to 10 people in three dormitories. Complete with everything you need for self-catering, plenty of hot water and access to washing machine and tumble dryer, you can be confident you will be comfortable during your stay. Carry Farm lodges provide private, spacious and very comfortable accommodation for you to enjoy whilst sailing or kayaking. Overlooking the bay, they are the ideal choice if you are looking for a little more comfort for post activity relaxation! 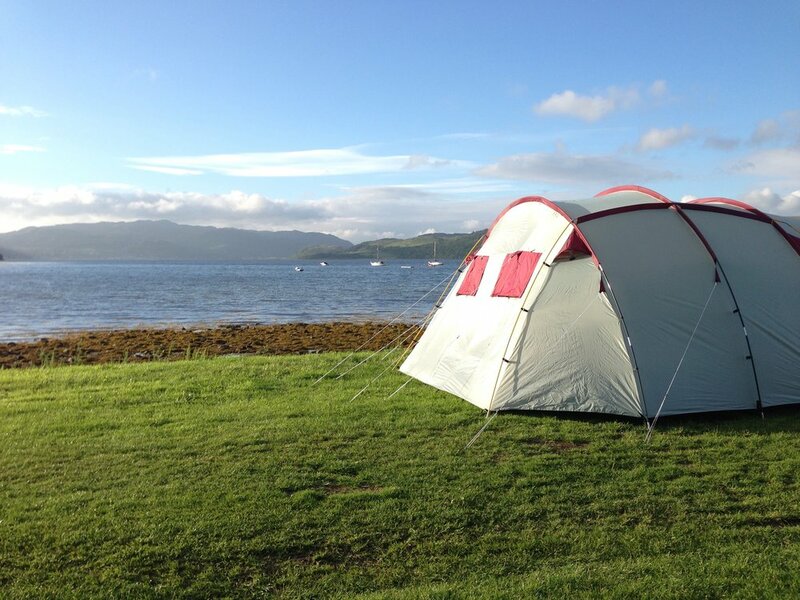 Camping at Carry Farm is very special with tents pitched by the shore overlooking our sailing area. This is wild camping at its best, with toilet, shower and laundry facilities a few minutes walk up the track. If your club booked with us, we would reserve all of the camping area for your private use. Check out Argyll's Secret Coast website with loads of things to do and places to eat in the area.